Congratulations to the sixth-grade boys’ basketball team on their tournament in Upsala this past weekend!! They took first place beating Upsala, then Pierz and then Holdingford in the championship game. They will play in Rocori on Saturday at 1 and 2 p.m. as they face Rocori and Paynesville. 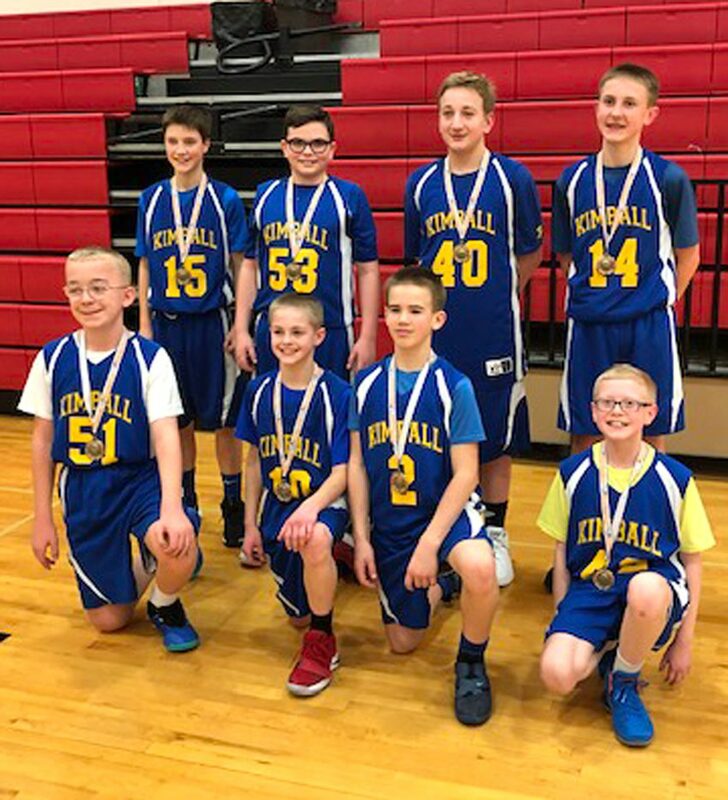 Kimball sixth-grade boys’ basketball team includes (in front) Connor Kenning, Brandon Henkemeyer, Owen Mortenson, and Alex Bechtold; (in back) Bryant Knaus, Dylan Striet, Anthony Merten, and Jed Spaulding. Submitted photo.